William Conway Morris (1896-1928) was born in central Virginia to William R. and Susan Royall Landrum Morris.The family lived in Charlotte and Prince Edward County where the elder Morris farmed the land with the help of his sons. In 1917, Morris enrolled at Hampden Sydney College, in nearby Hampden Sydney, Virginia, where he earned the nickname Shakespeare because of his penchant for writing. In addition to serving as student body president, on the yearbook staff, and writing for the Hamden Sydney Magazine, Morris was known as a "rustic comedian" and a singer of "rural ballads" who entertained his classmates. He enlisted in the U.S. Army at the start of World War I, but contracted tuberculosis. In 1919, Morris returned to Hampden Sydney and later spent time at Catawba Sanitarium near Salem, Virginia, in order to convalesce. While at Catawba, he edited the Catawba Alumnae Association's monthly newspaper, Sunbeam, published to draw attention to those suffering from tuberculosis and to encourage tuberculosis patients. It was under his leadership that the magazine cleared its debt and increased its circulation. Morris assisted patients at Catawba by teaching literacy and writing letters for them. He aided veterans by helping them apply for and receive disability pensions. He also reached out to citizens and churches asking for donations for patients dependent on charity. 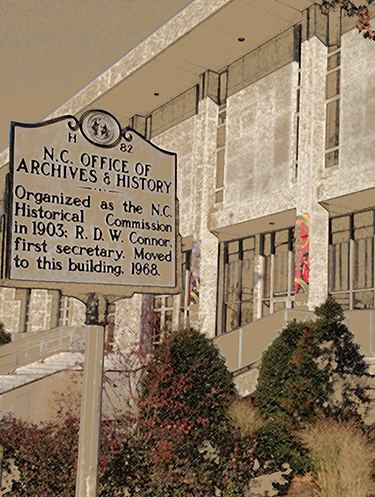 In 1925, Morris was transferred to the Oteen Veteran Administration Hospital in Oteen, North Carolina, near Asheville, where he stayed over two years. During his time at Oteen, Morris kept a diary with daily entries of visitors and happenings at the hospital, such as the arrival of new nurses or transfers of other patients. Morris was stricken to bed for the last six years of his life. After realizing there was no hope for recovery, he returned to his home in Darlington Heights, Virginia. He died in 1928 and is buried in Spring Creek Cemetery in Prince Edward County, Virginia. PC.7033, William Conway Morris Oteen Diaries, State Archives of North Carolina, Western Regional Archives, Asheville, NC, USA. Gift of Dawn Jenkins, North Chesterfield, Virginia, via Matthew M. Peek, Military Collection Archivist, State Archives of North Carolina May, 2018. Transferred to Western Regional Archives June 2018. The William Conway Morris Oteen Diaries consist of two loose-leaf diaries: Oteen Diary of W. C. Morris, December 5, 1925, to December 31, 1926, Inclusive and Oteen Diary: January 1, 1927 to January 1, 1928, W. C. Morris, Ward I-2. Both items contain daily entries of life in the Oteen hospital, as well as lists of nurses on duty, patients in the ward with Morris, and deaths during the year. The collection also contains one original issue of The Record of the Hampden-Sydney Alumni Association, Vol. 2, No. 3, April 1, 1928 that includes an article about William Conway Morris's accomplishments and his long-term illness and hospitalization.